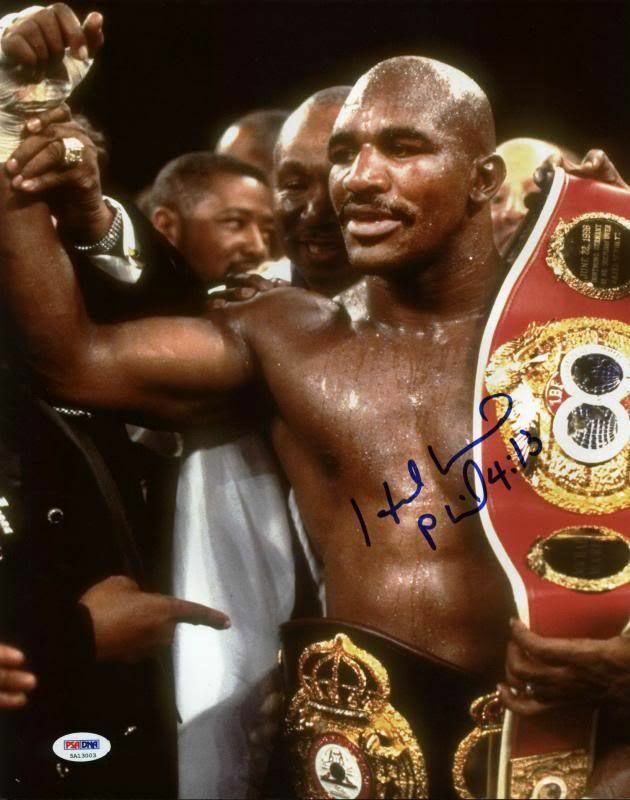 Evander Holyfield boxing cards and autographed memorabilia are key components to any collection of heavyweight title holders. Holyfield is the only four-time World Heavyweight Champion. He retired from professional competition in 2012 after amassing a record of 44-10-2. His heavily publicized bouts with Mike Tyson made for epic theater and helped to cement Holyfield's place in pop culture and boxing history. The Evander Holyfield rookie card can be found in the rare 1986 Brown's Boxing set. It was distributed as part of a small factory set and has been gaining in popularity in recent years. 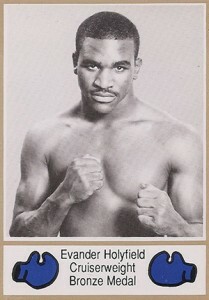 Holyfield's first pack-inserted cards can be found in 1991 Kayo and 1991 Ringlords Boxing. He actually has two cards in the 1991 Kayo set with both focusing on his fight with George Foreman. It wouldn't be until 2011 that Holyfield would have a certified autographed card produced. It is in 2011 Ringside Boxing Round 2. 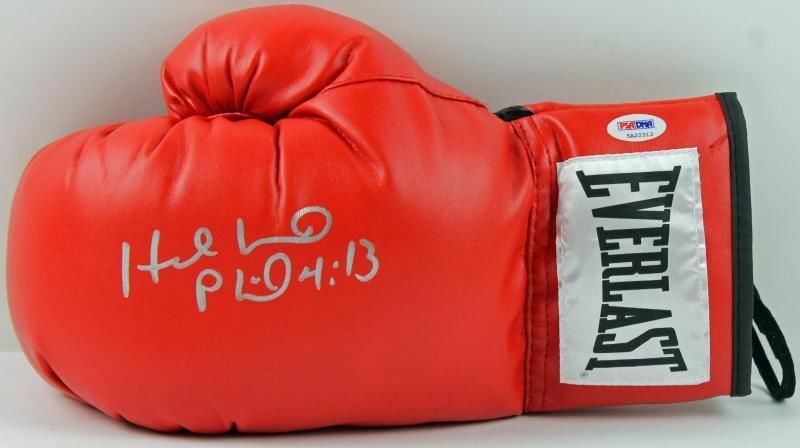 A total of four Holyfield autographs can be found in the product. Two are limited to 100 copies plus a parallel for each that's limited to 10 copies. 2011 Ringside Boxing Round 2 also has Holyfield's first memorabilia cards. He is featured on 38 different cards, many pairing him with other distinguished fighters he fought during his career. Holyfield's autographed memorabilia is valuable when single signed. However, values increase significantly when accompanied by other notable fighters. This is particularly true on items signed by both Holyfield and Tyson. This is a result of the "Bite Fight" when, during their 1998 re-match, Tyson inexplicably bit off a portion of Holyfield's ear. It's rumored that fewer than 2,000 of these cards were produced. Featuring a somewhat plain design, it's the card collectors are gravitating towards when it comes to an Evander Holyfield rookie card. The card was included as part of a 35-card factory set. It's the second set in an ongoing series that spanned several years. High-grade cards can go for large amounts, in part because of their rarity. Centering issues make top-condition versions particularly tough. Below you will find an example of what Evander Holyfield's authentic signature looks like. This can be used as a first point of reference for determining the legitimacy of autograph memorabilia, but is not a substitute for having your items authenticated by a well-respected professional autograph authentication company. Some of the trusted sources within the sports memorabilia market include the following companies: PSA, JSA, and Mounted Memories. The signature places more emphasis on the accompanying scripture verse than his name. The signature is defined by the letter "H" consists of two horizontal lines unconnected by a horizontal line that connects to an "l."
The pen lifts to form a long "L" shape that connects to a circular character.